Maintaining its status as a global pro-audio market leader could prove somewhat challenging for the UK following its decision to leave the European Union. Bearing in mind that the true consequences of the vote may not materialise for some time, many British businesses are poising themselves for the worst-case scenario. Colby Ramsey reports. For many pro-audio companies in the UK, the last decade has been particularly pivotal in terms of new technologies, changing regulations and shifting demands. While the creation, distribution and consumption of content as well as the potential of the tools used to do so ebbs and flows, the question remains as to whether the UK will preserve its reputation as one of the market’s chief innovators in the wake of Brexit. While there are now many more college courses available as a gateway into the industry, Cooper believes this is creating “unhealthy” competition in the market, ultimately affecting the quality of the work and therefore leading to an amount of sub-standard output. Metropolis Studios’ CEO Ian Brenchley adds that this transition of consumers from physical to digital “has entirely changed the musical landscape”. Jamie Keeling at studio design and build company Studio People firmly believes that it is the best in the business that survive through a process of natural selection when the going gets tough. He has found that, despite certain projects not materialising as a result of funding issues, “companies and educational facilities are doubling down and investing in their resources and infrastructure in order to put them at the top of the pile. “We have seen educational institutions investing in their music and media courses like never before to attract students to better-than-industry-standard facilities, as well as an ever-growing requirement for acoustic treatments, doors and glazing partitions from abnormal sources,” Keeling adds. In terms of products, the tipping point for console manufacturers such as Allen & Heath, for example, came in 2012-13 when the 65-35% split demand in favour of analogue desks completely reversed due to the influence of DSP and popularity of digital mixing. 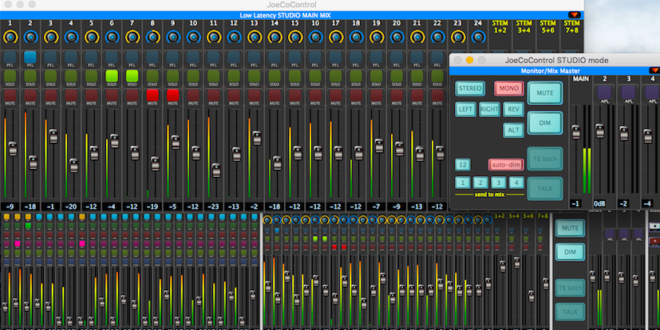 The steady growth in demand for audio plug-ins has also been evident over the past decade, as computing power increases and file-based workflows become central to many organisations. As specialists in loudness analysis and correction tools, Nugen has seen a dramatic shift in all forms of audio production due to the adoption of international loudness standards. Loudness normalisation is becoming more widely spread in the world of music streaming services, “and is also becoming more widely used in radio, leading to a second wave of recommendations such as AES TD1004”, Schorah remarks. Cooper concurs, and explains that the introduction of loudness metering by the European Broadcast Union (EBU R128) has allowed commercials and broadcast engineers to “deliver mixes with a wider dynamic range and prevent the over-use of highly compressed audio in promotional material”. For Studio People, there is concern over the evolution of particular health and safety measures, causing the costs associated with installing studio facilities to rise. Keeling explains that the introduction of virtual reality into the marketplace is presenting a number of interesting challenges from a client’s perspective. Fire alarms are one such area. “How does an operator hear an alarm sounder, or see a flashing beacon warning of fire (or any other emergency) when working in a VR environment?” Keeling asks. 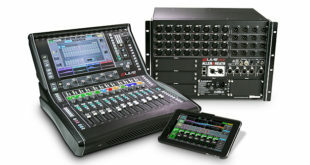 According to Allen & Heath install sector specialist Ian Thomas, seamless interoperability and integration is of high demand within various industries (AV/IT for example), which are “converging at a rapid pace with emerging standards/protocols using firmly IT-centric platforms”. Nugen on the other hand has noticed an increased demand for audio post production tools and efficient loudness management solutions as the UK market, often considered the proving ground for new technologies and innovation, matures. A noticeable trend from Studio People’s point of view is the quality of installation demanded by educational clients – a quality that is often to a higher specification than what many industry professionals are used to. Keeling believes this is great in many ways and has massive implications, as it raises expectations which in turn drives improvement in the industry and provides the best platform from which young audio professionals can launch their careers. This drive for improvement also poses dilemmas for certain companies however, especially manufacturers whose market is particularly competitive. Despite this, Allen & Heath’s sales and marketing manager Debbie Maxted reports that sales of mixers has been steady with moderate increases but emerging markets have fuelled huge export growth. “As a manufacturer we have to try and balance the features the user expects against the ever downward pressure on price that the consumer demands,” she says. There is also far greater competition for post houses in the UK now, especially in the short form market where advertising budgets are being slashed annually and many facilities are charging the same hourly rates as they were five years ago. Knowing this, Cooper asserts that the facilities willing to step outside their comfort zone, adapting and investing in new technologies and talent, are the ones that will survive for years to come. He cites declining budgets and the reluctance of clients to spend wisely rather than cheaply as the industry’s biggest challenges. Over at Metropolis Studios, Brenchley has seen the market steadily growing over the past three years, and has witnessed more and more work coming from management companies and less from labels. “As always we benefit from a lot of international clients which I can see burgeoning while the pound is still recovering. He goes on to detail a ‘broadcasting revolution’ that is occurring whereby the users wants control of on-demand content when it suits their busy lives, using podcasting as an example. “Why listen to a censored radio show, and suffer the constant irritating interruptions from ad breaks and promotions, when you can download or stream your favourite podcast which is uncensored and real with zero or minimal ads?” he asks. In defiance of these market disruptors, the UK continues to be one of the biggest pioneers of pro audio across the board. Schorah believes that on both a corporate and freelance level the UK has some of the most talented audio post engineers in the world and demand for these skills remains high, as does demand for the tools of the trade. It is these principles and ethos that are now potentially under threat as a result of Britain’s decision to leave the European Union, which is likely to lead to a prolonged period of uncertainty for the whole industry at the very least. It remains to be seen what the effect of exiting the single market will be on product sales into and out of the EU, and will depend greatly on the conditions of the new trade arrangements. Maxted estimates that the uncertainty that the referendum vote triggered in the economy will not help investment and growth around Europe however where a large proportion of Allen & Heath’s sales occur, “causing a dampening of demand particularly in the commercial sector”. Furthermore, while the UK film industry has been very healthy and buoyant for a number of years, “we may now see a reluctance to spend and investment in all areas of the UK industry is a major concern,” Cooper explains. For those working in the advertising and commercials sector, Britain’s ad industry is facing two years of decline as a result of Brexit according to the IPA Bellwether Report, which has slashed its growth forecasts for 2016 and 2017. There are some, however, who uphold a rather positive outlook, and do not see it affecting their business or the industry as much as others seem to. Ian Brenchley even goes so far as saying that his business, one of Europe’s largest and most well revered recording studios and production facilities, will benefit enormously from a low UK exchange rate with international sales because it makes it more competitive in other territories. With these mixed attitudes in mind, there are many different predictions for the future of the UK pro-audio industry flying around. 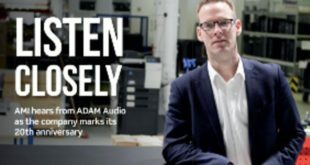 Meanwhile, Allen & Heath’s Maxted believes protecting innovation will become the priority for businesses and will be achieved through a combination of IP, branding and investment. Brenchley envisages the ‘production room’ ie smaller monthly studio rentals becoming more popular in the future. “As studios have mostly become a very small margin business I think you will see more of them diversifying and getting into the rights game,” he says. Keeling concludes with this: “Change is the only thing that’s guaranteed in life – to survive we must embrace it, nurture it and grow with it and I have no doubt that we, as a nation, will be the leaders in doing so."